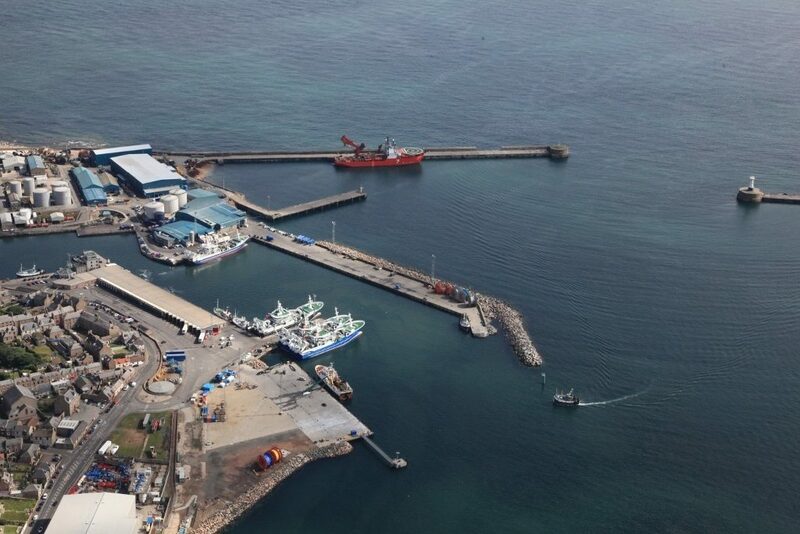 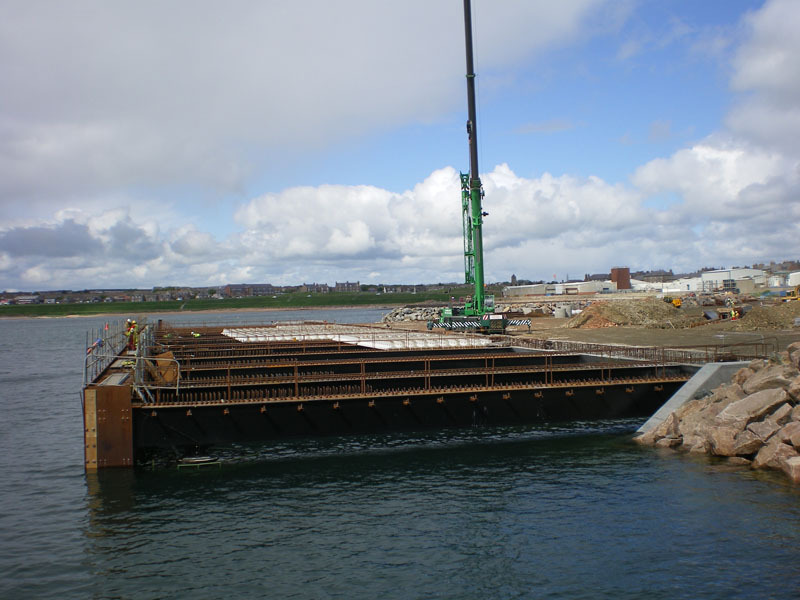 The contract consisted of the construction of a 120m long, 22m span, open piled quay. 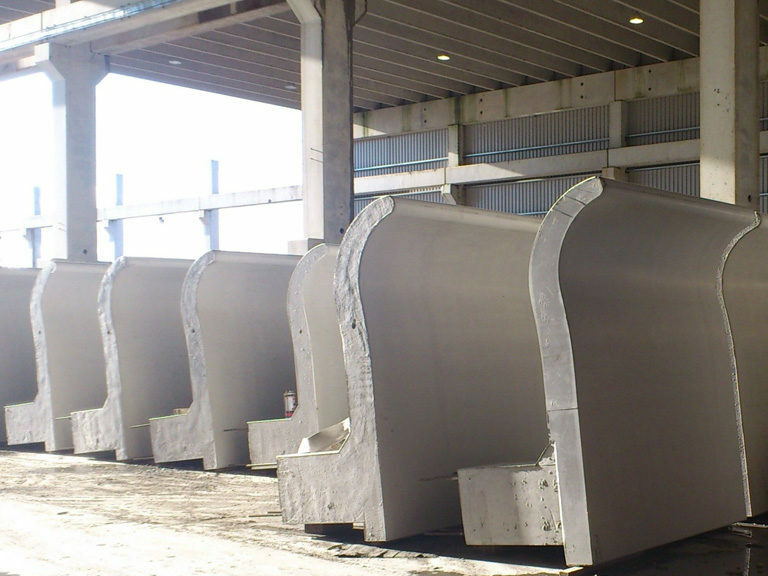 A specified load of 500 tonnes at 20m lift radius was required at the heavy lift area. 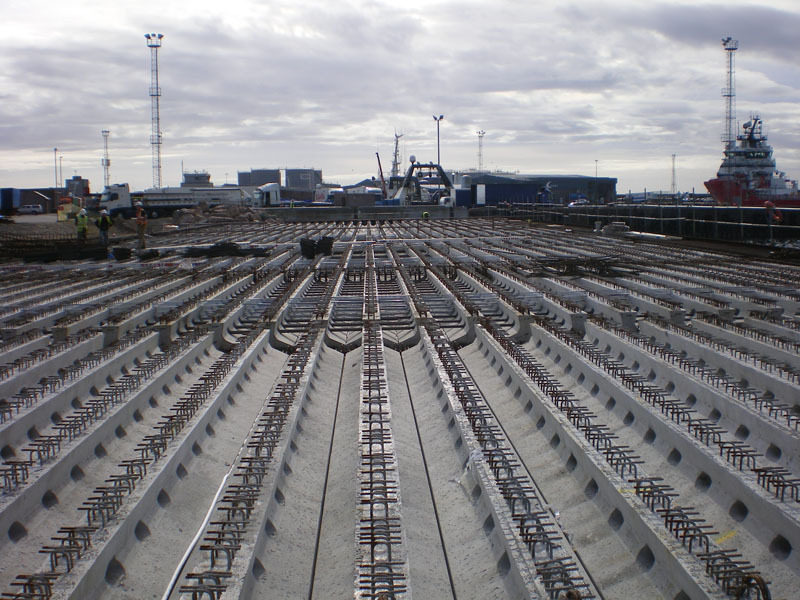 Also included was a remote mooring dolphin together with associated paving, drainage and services provision. 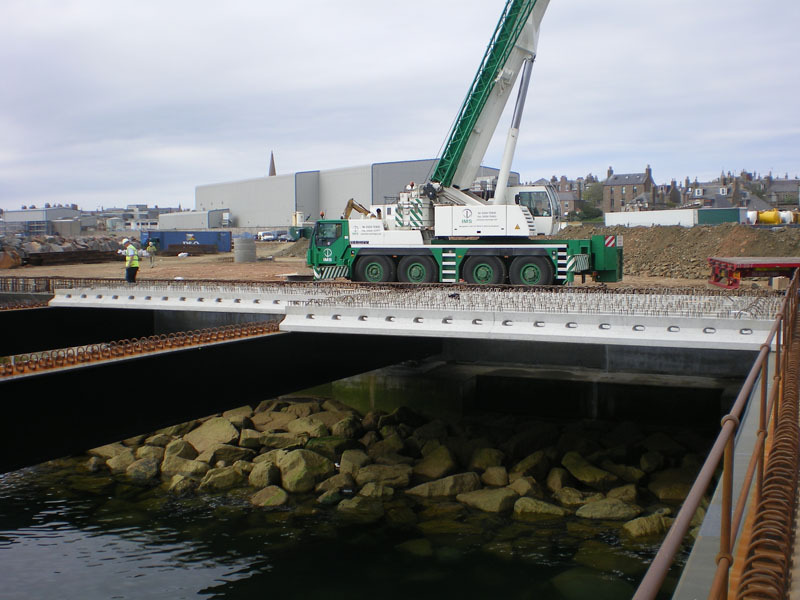 The deck was made up of prestressed concrete TY Beams with an insitu concrete topping supported on monopiles cored into bedrock at the sea end and sitting on an insitu concrete bankseat at the shore. 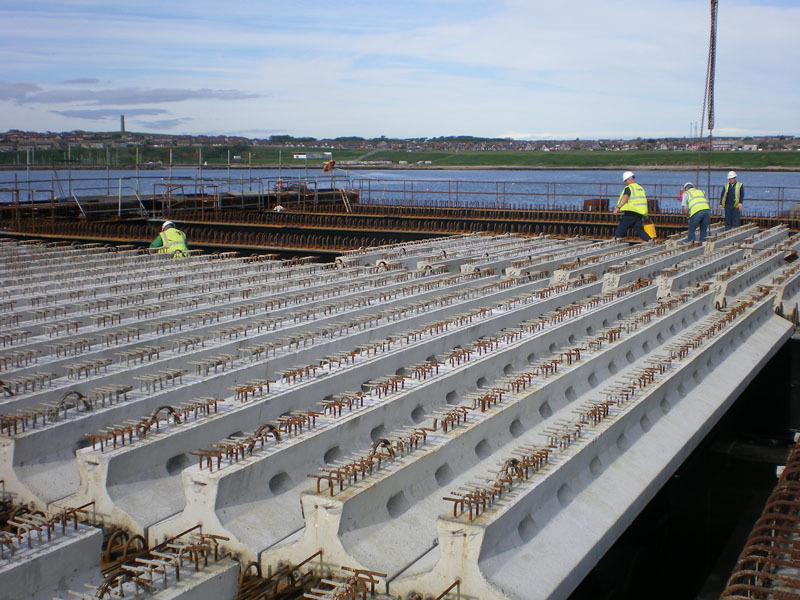 Banagher Precast Concrete supplied over 400 TY Beams for the job.